Who doesn’t love pasta? It’s one of those comforting foods most people (under the age of 50) would have been brought up on. Spaghetti Bolognese may be a classic Italian dish but Id imagine our wonderful British, bastardised version is probably eaten even more regularly than the original. I will be turning my attention to Bolognese in a post shortly when I will create what I consider to be the ultimate version, ‘Smoked Brisket Bolognese’ but for now I want to focus simply on pasta. An Italian once told me that you should use dried pasta for a starter and fresh for a main course. This makes sense to me. 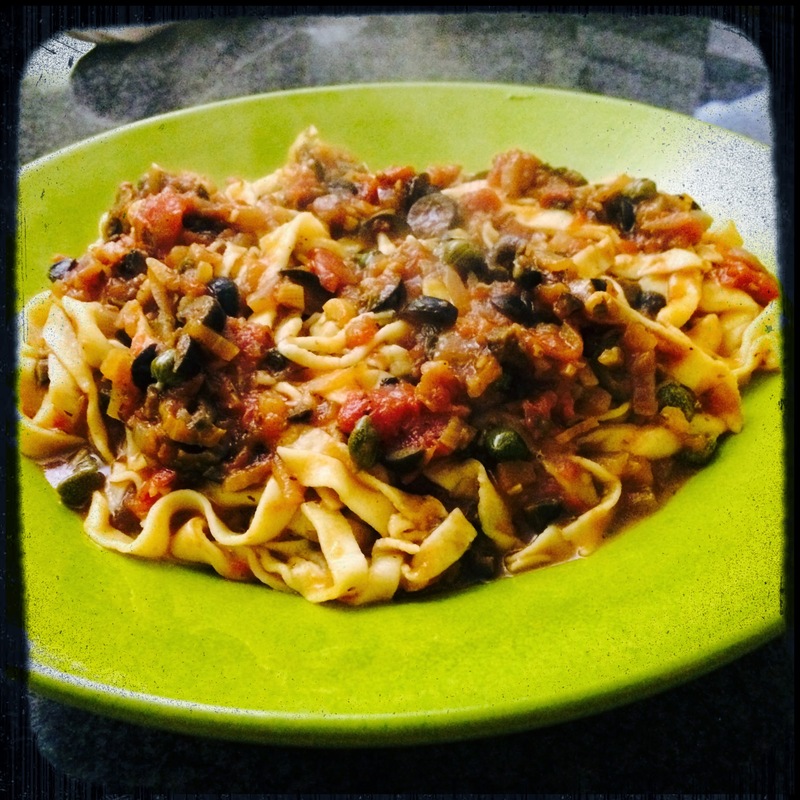 Dried pasta in general is simply flour and water, fresh is flour and eggs. The extra richness and protein provided by the egg serves to fill you up more. 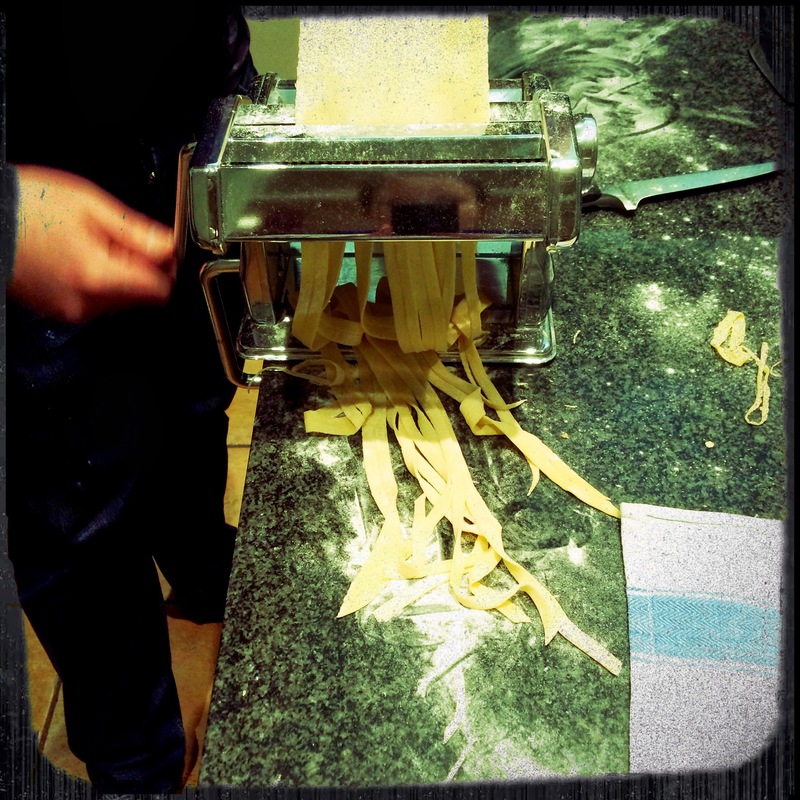 I’d encourage everyone to have a go at making their own pasta. It turns an every day dish into something very special and like the very best home cooking, gives you an enormous amount of satisfaction, akin to bringing out a home made loaf. 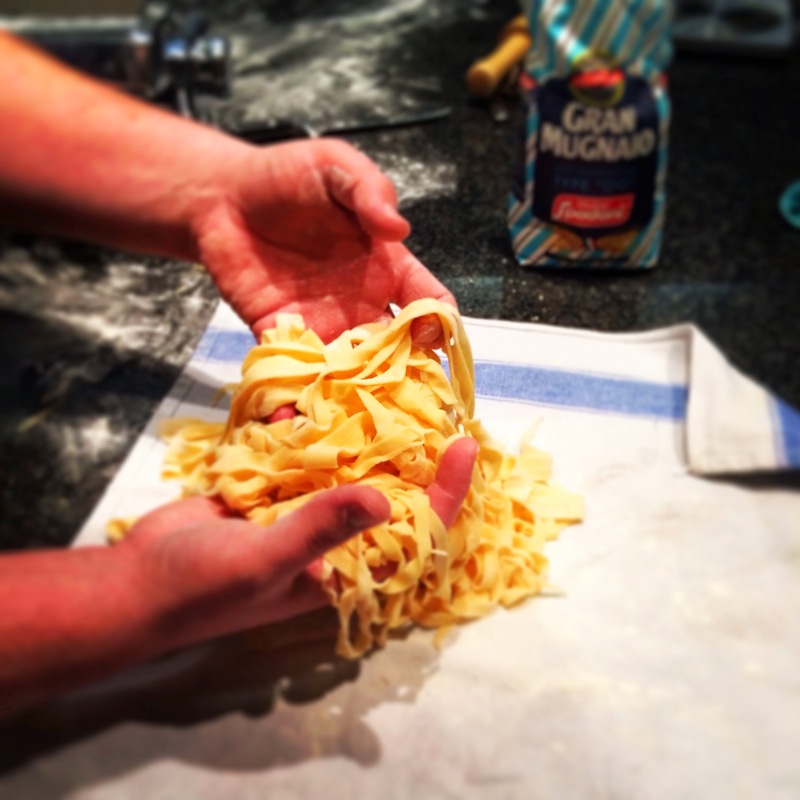 The recipe for fresh pasta is so easy you won’t need to write it down. 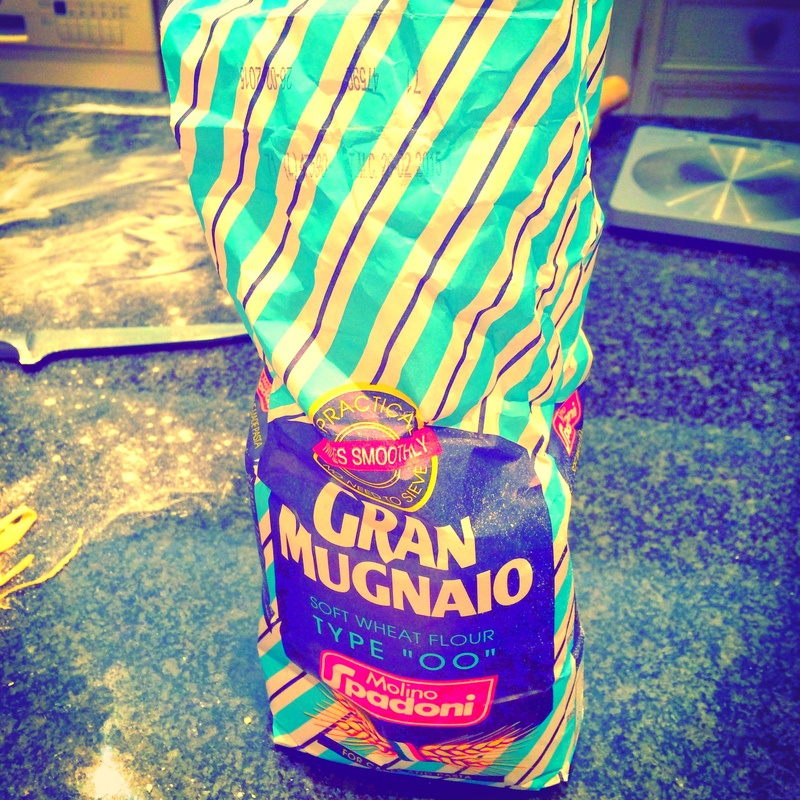 100g of ‘00’ Italian flour and 1 egg per person, for a hearty main course. 00 flour (doppio zero) is available in most supermarkets nowadays. It is durum wheat flour that is very finely ground. It has a high protein content but is actually relatively low in gluten compared with regular flour. Tip the flour into a large mixing bowl or onto a clean surface and form a well in the middle, add the beaten eggs and use a fork or spatula to combine the mixture (you could use a food processor for this stage.) Once combined, knead the dough on a work surface for 5-10 minutes to develop the gluten as you would to make bread. The dough should become smooth, glossy and elastic. Wrap in clingfilm and leave to rest in the fridge for an hour. It’s time to roll the pasta. A pasta machine makes it easier but it is perfectly doable with a rolling pin, or if you don’t have one of those a wine bottle will also do. I have used a wine bottle as a rolling pin many times before on holiday. They work perfectly well. If you have a pasta machine, set it to the widest level before feeding the dough through. Keep on lowering the setting. Continue feeding through until you have the thickness you require. At this stage you may need to add a little more flour to stop the pasta from sticking. If rolling by hand divide the dough into small balls, it is easy to work in smaller amounts. Roll out, folding in half every now and then and continue to work until you have it as thin as possible. 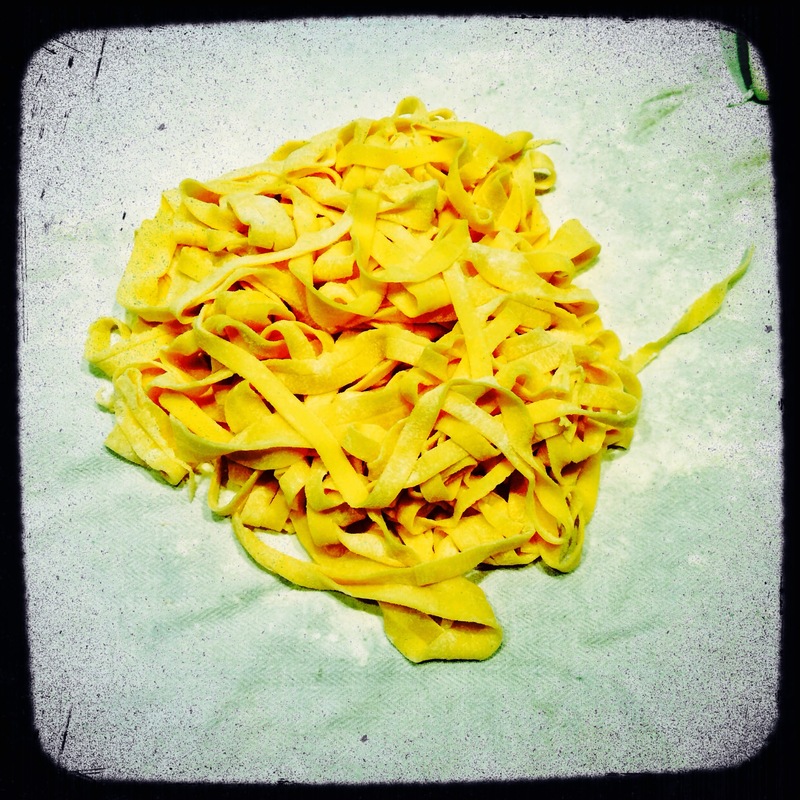 Now fold the pasta and hand cut into strands for linguine (thinnest), tagliatelle or pappardelle (widest). You could also use whole sheets for lasagne. This pasta should cook in 2 minutes in salted boiling water, add it to your favourite sauces. As with all Italian food, simplicity is best. A sauce of garlic cooked in olive oil with chopped tomatoes and basil, or as below a Puttenesca. A good glug of olive oil, 2-3 garlic cloves, a few chopped anchovies, tin of tomatoes, allow to simmer for as long as you can, ideally until the oil separates from the sauce and the tomatoes have broken down. Add some chopped black olives, some oregano and a few capers before seasoning and stirring through your freshly made pasta.